Before we get to the issues, if you like what you read in our Week in Review please click here to subscribe to have it delivered to your inbox each week. 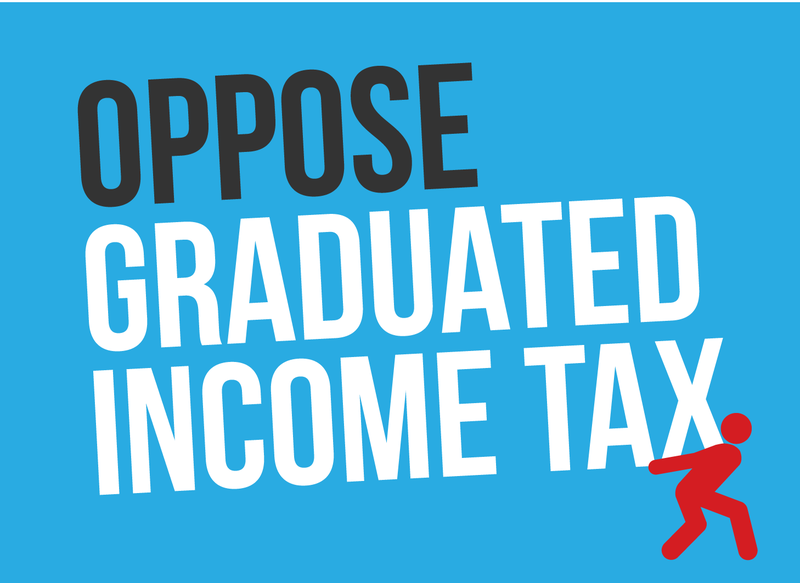 Growing pressure by Democrats to extend existing income tax rates. Although more than 550,000 Illinois men and women remain unemployed, Democrats in the General Assembly are working with Gov. Quinn to exert growing pressure on the State to perpetuate the 67-percent “temporary” tax increase enacted in January 2011. This tax-hike bill, which raised the individual income tax rate from 3.0 percent to 5.0 percent was passed without a single Republican vote in either house of the General Assembly. When signed by Gov. Quinn, the measure was described as a four-year-long, short-term measure to deal with the financial crisis created by the Great Recession. The four years will expire on December 31, 2014, affecting anticipated State revenues and budgetary spending in fiscal year 2015 (which covers the period from July 1, 2014 through June 30, 2015). 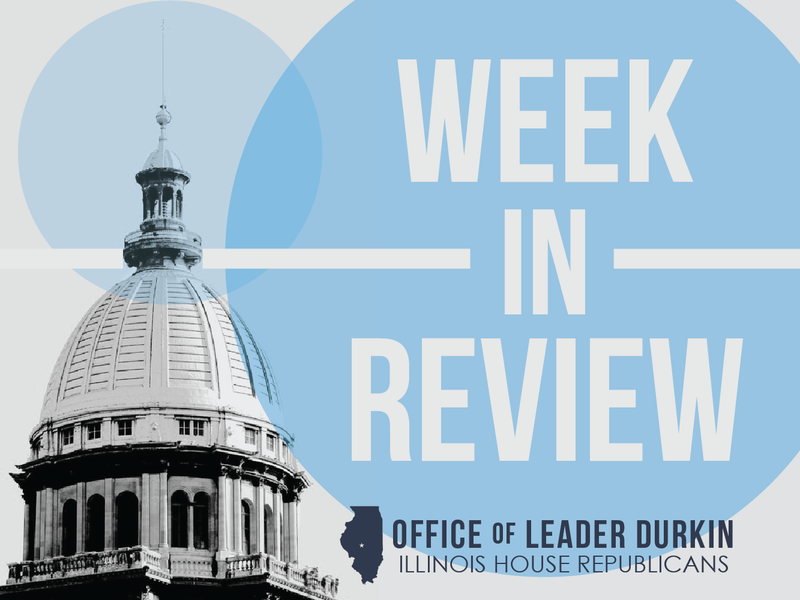 House Republican Leader Jim Durkin (R-Western Springs) and the House Republican Caucus have joined together in a petition drive for Illinois residents raise their voices in opposition to the perpetuation of the largest income tax hike in Illinois history. Illinois Medicaid pays $12 million for health care provided to the deceased. In new revelations spurred by an April 19th Associated Press story, it was reported that Illinois Medicaid has internally recorded paying $12 million to medical care providers for care allegedly given to 2,900 people after the dates of their deaths as recorded in other public-sector records. The confidential file is a collection file and the Medicaid system is attempting to recover the money on behalf of taxpayers. Read more about the story. One problem uncovered with this story is the continued non-compatibility of different forms of government records. Death certificates are filed with the Vital Records Division of the State’s Department of Public Health (DPH), while the Medicaid system is operated by a different department, the Department of healthcare and Family Services (DHFS). This ongoing inability of the State’s public sector to manage their case files and databases was seen as supporting evidence for the extended push by critics to mobilize the private sector in the vital work of Medicaid eligibility verification. After a short-lived agreement to bring in a skilled private-sector firm, the Gov. Quinn administration pulled back starting in September 2013. Citing a labor-union-friendly ruling from an arbitrator, the Quinn administration asserted that full-time State workers perform adequate work as scrutinizers of Medicaid eligibility. The Associated Press story questions this assertion and Republicans have been vigilant in the ongoing fight to have this work continue. House Republican Leader Jim Durkin and the “Chicago Tribune” call upon General Assembly to reject $100 million for proposed presidential library. The decision by the House Democrats’ leadership to push $100 million in State capital funds through a committee on Thursday continues to reverberate this week. The vote came under fire from Republicans who questioned the timing of the vote, which came at the end of what was posted as a subject matter only hearing. In addition, the Democrats used a recessed roll call from the previous day to advance the bill despite the majority of those members not being present. Due to the uproar, House Democratic leadership made the unprecedented move to repost the legislation back to the original committee nullifying the initial vote and striking it from the record. The measure will now be heard once again in committee this week where the official vote will be taken. Additional heat is coming from the media where Monday the state’s largest daily newspaper expressed strong opposition to the Obama Library bill, HB 6010. Calling upon lawmakers to “nix the $100 million for Obama library,” the editorial board derided the decision to spend State money on frosting when the cake – monies for essential items such as potholed roads and medical are – has fallen in. House Republican Leader Jim Durkin agreed with calls to stop the flow of taxpayers’ money. “Democrats . . . now want to spend $100 million in public funds on the Obama presidential library,” the lawmaker stated on Monday, April 21. “Where is this money going to come from?” The Durkin statement can be found here. The nonpartisan federal National Archives and Records Administration, whose participation is essential (through the National Archives’ Office of Presidential Libraries) for the new presidential library if it is built, told the “Tribune” on Monday that all 13 existing libraries (for Herbert Hoover through George W. Bush, the 31st through 43rd Presidents of the United States) were constructed with private-sector funds. Illinois Republicans denied this week that the Lincoln Library in Springfield constitutes precedent for a State subsidy. A comparatively small volume of Lincoln papers survive, the Springfield library is not supported by the Office of Presidential Libraries, and the primary purpose of the Lincoln Library is as a tourist center and focus for the celebration of Lincoln’s life rather than as an archival depository. Illinois’ 8.4 percent March unemployment rate was well above national average. The new March 2014 figure were announced by the Department of Employment Security (DES) on Thursday, April 17. In the first month of spring 2014, 551,900 Illinois residents continued to be unemployed and looking for work. In addition an unknown number of adult Illinois residents were not counted in March as unemployed because they had ceased to look for jobs. The March 2014 Illinois numbers indicated that joblessness remains much higher in Illinois than in neighboring and comparable states. Other states’ jobless rates for March 2014 include Indiana (5.9 percent), Iowa (4.5 percent), Missouri (6.7 percent), and Wisconsin (5.9 percent). These figures are provided by the nonpartisan federal Bureau of Labor Statistics (BLS). New rules published to govern medical cannabis industry. The rules, which have not yet been approved but were published in the “Illinois Register” on Friday, April 18 for public comment, will impose significant fees upon participants at various levels of the supply and consumption chain for authorized use of medical cannabis. A medical patient approved by a physician to possess a medical cannabis card will have to submit an application fee of $100. Upon presentation of a card at a licensed dispensary, the patient will be allowed to purchase up to 2.5 ounces of cannabis every two weeks for his or her personal use only. Dispensaries, to be licensed, will face much higher fees and inspection expenses. The structure of the underlying cannabis law is meant to allow only one dispensary in each geographic region of the State. A separate fee and inspection system is imposed upon a limited number of locations permitted to grow a limited supply of cannabis for sale in the dispensaries. Grow locations will also pay heavy fees and will be granted substantial market shares in return. Each grow operation will have to pay a fee of $225,000 in the first year, and must demonstrate liquid assets of $500,000 upon opening and access to an additional $2 million at all times to pay possible fines and penalties for noncompliance. The rules will allow medical cannabis users to retain their FOID cards and their right to possess firearms. An earlier version of the proposed rules would have forbidden the simultaneous possession of a medical cannabis card and an FOID card. 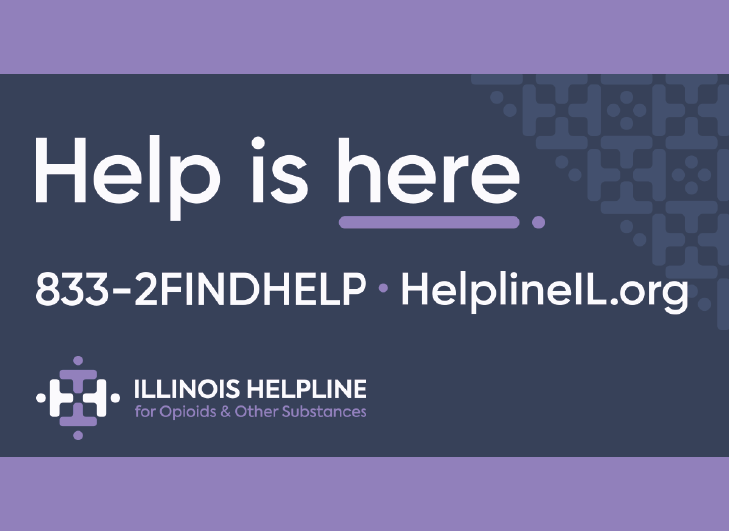 The rules were published jointly by four departments of State government: the Department of Agriculture (DOA), the Department of Financial and Professional Regulation (DFPR), the Department of Public Health (DPH), and the Illinois Department of Revenue (IDOR). As $1.3 billion Illiana corridor project moves forward, opponents file lawsuit. The expected legal move came as the Illinois Department of Transportation (IDOT) continued its cooperation with Indiana’s road agency to plan the proposed limited-access corridor. The superhighway, which would connect Illinois’ Interstate 55 with Indiana’s Interstate 65, would include a major interchange near Wilmington, Illinois and a right-of-way passing through southern Will County. The highway would produce a faster access for cars and trucks between I-55 and I-65, and would add to the infrastructure surrounding the proposed “third airport” to be built near Peotone, Illinois. A consortium of environmental advocacy groups filed a lawsuit on Thursday, April 17, to permanently halt the 47-mile road project. The roadway, strongly supported by advocates for economic growth, is expected to be constructed under the terms of a private-public partnership.